Crikey... 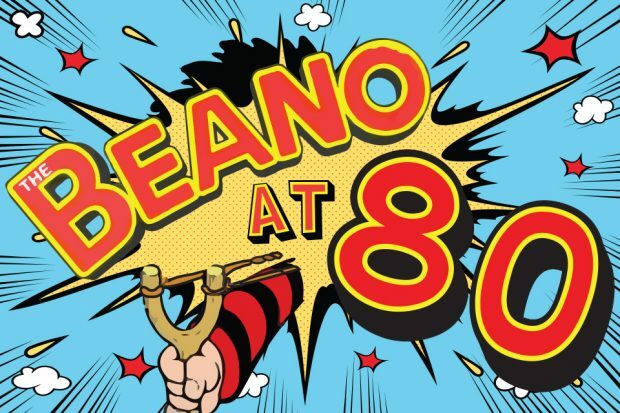 The Beano is 80 years old today. Imagine that – a world where there was no internet, no TV, no mobile phones. Just an hour of children’s radio programmes, broadcast from 5 pm to 6 pm every day. A time where comics were almost the only proper media entertainment available to kids, until the 1950s and 60s. So, for the Scottish publisher DC Thomson, already publishers of comics like The Rover and The Hotspur aimed at older children, it was an obvious market to get into. Starting with The (now defunct) Dandy and The (not defunct) Beano. Hurrah! The Beano is now the longest-running British children's comic magazine, first published by leading media company DC Thomson on 30 July 1938. For those not in the know, it takes its name from the English word 'beano': a short form of bean-feast, a term for a festive meal, or a good time. Initially, the Beano cover star was Little Eggo (an accident-prone ostrich). He was soon replaced in 1948 by the good-natured Biffo the Bear, until he was supplanted by the iconic Dennis the Menace in 1974. Dennis had first appeared 12 March 1951 and is now the longest-running strip in the comic. The idea and name of the character came after the editor heard a British music hall song with the chorus, "I'm Dennis the Menace from Venice". By one of those weird coincidences, another comic strip named Dennis the Menace also debuted in the United States on 12 March 1951. It took 17 years for Dennis to be joined by his 'Abyssinian wire-haired tripe hound' buddy, Gnasher, and they've become inseparable. (Except when Gnasher is starring in his own comic strip). While Dennis is the poster boy for the Beano, a number of strips have also been running for a very long time. The top 5 longest running Beano comic strips are: Dennis the Menace, Minnie the Minx, The Bash Street Kids, Roger the Dodger, and then the previous holder of the title before Dennis, Lord Snooty. The Beano has always had a light-hearted rebellious streak, which has kept it ahead of the pack. Surviving reduced pages due to paper and ink shortages during World War 2, The Beano has left most of its competitors behind. It has expanded into the 21st century Beano Studios, creating entertainment across multi-media platforms including TV, website, and theatrical events; as well as maintaining the trusty comic and annuals for everyone to enjoy. So, as you can tell, The Beano has been through lots of changes in 80 years. If you think that's a long time, the company that publishes The Beano, DC Thomson, became a limited company 113 years ago in 1905. And, considering that dinosaurs still roamed the Earth back then (okay, maybe not), it's amazing that the original certificate of incorporation can still be seen on our Companies House Service. Check out the fantastic visual timeline from publisher DC Thomson to celebrate 80 years of The Beano. Interesting; a pity that the link to the Certificate of Incorporation is "Access Denied"!! Thanks, Patrick. I've now fixed the link! You can access the incorporation document by clicking 'View PDF'.